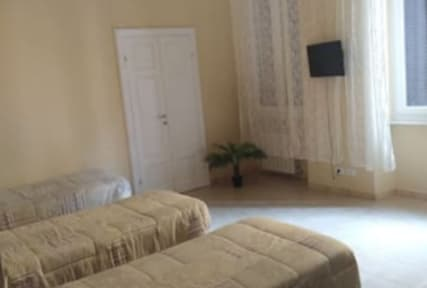 Villa Raffaella i Livorno, Italien: Reservér nu! The structure has comfortable rooms, common areas very welcoming and of services at the hotel level.The facility is very welcoming and clean and the staff really helpful Great welcome, large and spacious room, quiet despite being on a fairly busy road.Good cleaning, large bed and well stocked with pillows.This guesthouse features a microwave in a common area, a fridge in a common area and concierge services. Free breakfast (local cuisine) and free WiFi in public areas are also provided. Other amenities include laundry facilities, a 24-hour front desk and multilingual staff. 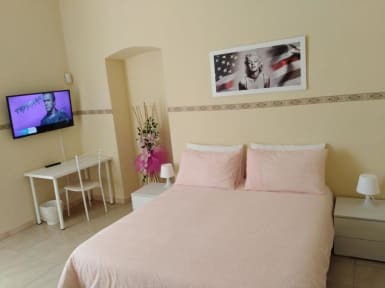 Located in the heart of Livorno, this guesthouse is within a 10-minute walk of Piazza della Repubblica, Cisternino di Citta and Cathedral of Livorno. Fortezza Nuova and Cimitero degli Inglesi are also within 15 minutes. All 4 soundproofed rooms feature free WiFi and room service. Conveniences include washing machines and living rooms, and guests will appreciate thoughtful touches such as bathrobes and slippers.